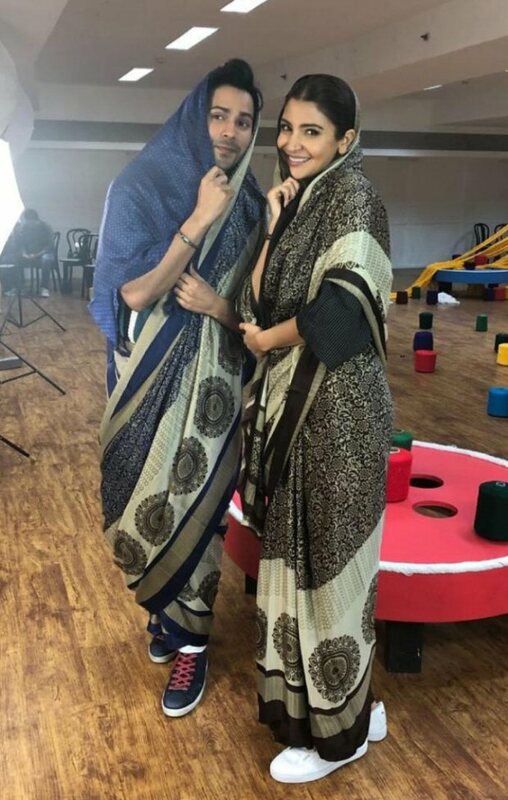 HomeCinemaMasalaSui Dhaaga couple Varun Dhawan and Anushka Sharma don sarees during promotions and it is as cute as ever! 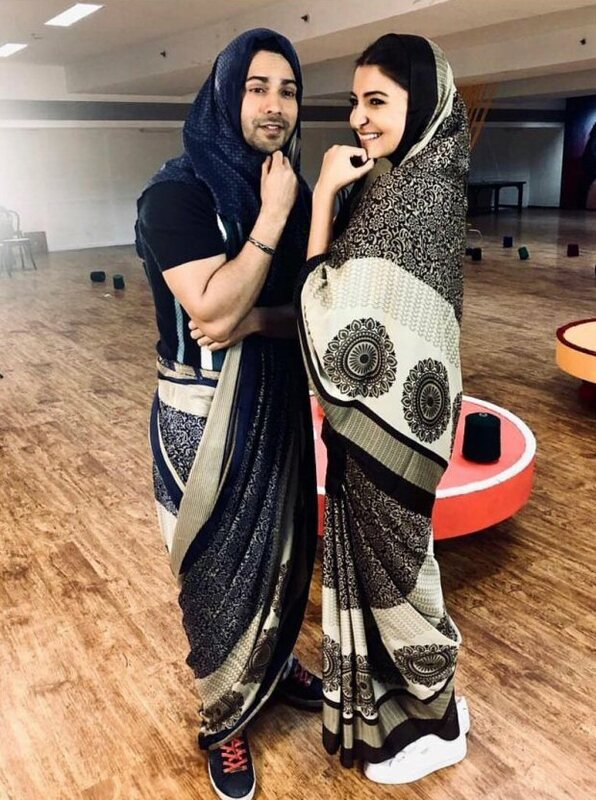 Sui Dhaaga couple Varun Dhawan and Anushka Sharma don sarees during promotions and it is as cute as ever! Sui Dhaaga recently gained momentum after the release of the trailer of the Varun Dhawan, Anushka Sharma starrer. The film was much appreciated for its blend of emotions and patriotism. Based on the life of weavers and embroidery industry in India, the promotions of the same have already kick started. A day ago, both, Varun and Anushka seemed to have entertained everyone in sarees. Sharing pictures and boomerangs on social media, we saw Varun Dhawan and Anushka Sharma in their elements and having some fun moments. While Anushka decided to don her ‘Mamta’ look from Sui Dhaaga, the character she plays in this YRF film, Varun, who plays her husband Mauji, too accompanied her. The actor sportingly donned the saree in the same style as Anushka leaving everyone around in splits. Furthermore, the two of them also took to Instagram to post pictures and boomerang for the same. The said images, not surprisingly, have gone viral on social media. Speaking of Sui Dhaaga, the film is based on the Made In India concept. The film deals with the life of weavers and tailors of small town. Set against the backdrop of Chanderi, a small town in North India, the film traces the journey of Mauji and his wife Mamta who decide to go for self-employment after much humiliation from his employer. The film, at the same time, also throws light on the current scenario of how clothes are often not credited to weavers in India. Keeping up with the theme, the makers have decided to release the film before October 2 on Gandhi Jayanti. Directed by Sharat Katariya, Sui Dhaaga is slated to release on September 28. Splurge Alert! Deepika Padukone with a Rs. 1.93 lakh bag, Alia Bhatt in Rs. 1 lakh denim separates and Kareena Kapoor Khan in a Rs. 18,200 tee shirt!